Last minute scientific submissions to the Alzheimer’s Association International Conference on Alzheimer’s Disease 2010 (AAICAD 2010) in Honolulu, HI, known as “hot topics,” suggest that (1) a newly-discovered risk gene for Alzheimer’s may have early impact on memory skills and brain volume, (2) intranasal insulin may be beneficial in Alzheimer’s, and (3) beta amyloid deposits in the brains of people with Alzheimer’s disease may take different shapes based on a known Alzheimer’s risk gene. Two studies reported at AAICAD 2010 give us more information about the TOMM40 gene – a newly identified risk gene for Alzheimer’s. They found that healthy, middle aged people who have the high risk version of TOMM40 (a) did worse on memory tests and (b) had reduced brain volume in two regions affected early in Alzheimer’s. A short-term trial of intranasal insulin in Alzheimer’s and MCI showed statistically significant benefits on certain tests of memory and functioning, but no changes on some others. In those who showed benefits on memory tests, there were also positive changes in Alzheimer’s biomarkers in spinal fluid. Researchers using a new imaging tool suggest that there are different shapes of beta amyloid deposits in the Alzheimer brain based on which version a person has of a well-established Alzheimer’s risk gene, known as APOE. This may be especially important because in some recent drug trials the therapy provided benefits in people who had certain types of APOE but were less effective or not effective in others. The TOMM40 gene has very recently been shown to influence age of onset in Alzheimer’s disease. Two studies reported at AAICAD 2010 give us more information about this newly identified risk gene for Alzheimer’s; they found that middle aged people without dementia who have the high risk version of the TOMM40 gene did worse on tests of memory and learning and had reduced brain volume in two regions that are often affected early in the course of Alzheimer’s. 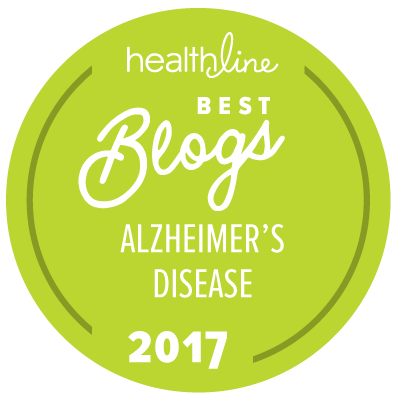 “We desperately need to know more about the causes of Alzheimer’s, and the factors that affect our risk of getting or not getting the disease. This kind of research will provide more targets for therapies and prevention strategies,” Thies said. In one study, Mark Sager, MD, of the University of Wisconsin Medical School, and colleagues studied a total of 726 people in middle-age with a family history of Alzheimer’s from the Wisconsin Registry for Alzheimer’s Prevention who were genotyped for TOMM40 and APOE, the latter of which is a well-established risk gene for Alzheimer’s. Of these, 129 had the low risk version of TOMM40 and 229 had the high risk version. The average age of the study population was 54. The researchers found that the group with the high risk version of the TOMM40 gene performed significantly worse on the tests of learning and memory (Rey Auditory Verbal Learning Test) than the group with the low risk version. These results remained significant regardless of APOE gene type. In a second study, Sterling Johnson, PhD, also of the University of Wisconsin School of Medicine and Public Health, and colleagues found that among healthy, middle aged adults (mean age 57) who have the APOE e3/e3 gene type, those with the high risk version of the TOMM40 gene had significantly less gray matter volume in two brain regions affected early in Alzheimer’s disease than those with the low risk version of the gene. According to the researchers, the study suggests that there is a connection between TOMM40 and brain cell loss in people who are relatively young and currently not symptomatic. Allen Roses, MD, and colleagues at Duke University first discovered that the TOMM40 gene helped explain differences in age of onset among people with sporadic Alzheimer’s disease. Previous research has strongly suggested that Alzheimer’s and diabetes/insulin resistance are closely related. For example, Alzheimer’s is associated with reduced brain insulin signaling and low levels of insulin in cerebrospinal fluid (CSF). Craft and colleagues had previously shown enhanced cognition and daily functioning in adults with MCI and early Alzheimer’s using intranasal insulin treatment for 21 days. This new study expanded the time frame to four months, during which 109 participants with MCI or Alzheimer’s received either placebo, or 20 or 40 IU daily intranasal insulin treatment. have a spinal tap, improved memory and functional status were associated with an improved Alzheimer’s biomarker profile as reflected by a lowered CSF tau/Aβ42 ratio. A new class of biomarkers has been discovered that can stick to protein structures in the body and emit colors reflecting the different shapes or forms of the proteins. They are called luminescent conjugated oligothiophenes (LCOs) or luminescent conjugated polymers (LCPs). Among other uses, they are currently being employed in test tubes, animal models and autopsied Alzheimer’s brains to study the structure of proteins deposits caused by the disease. The new markers bind to the two well-established hallmarks of Alzheimer’s – beta amyloid plaques and tau tangles – and glow different colors depending on which forms of the deposits they “stick” to (e.g., plaques often “glow” orange, while tangles “glow” yellowish green). In this study reported at AAICAD 2010, Sam Gandy, MD, PhD, of Mount Sinai School of Medicine, New York, and colleagues used LCOs/LCPs to investigate the possibility that the shape of brain protein deposits in people with Alzheimer’s who have the APOE ε4/ε4 gene type (highest risk) is different from those having APOE ε3/ε3 (neutral risk). Frozen brain sections from people who died with Alzheimer’s were stained using two LCPs/LCOs: pentamer formyl thiophene acetic acid (pFTAA) and polythiophene acetic acid (PTAA). Using PTAA, the researchers observed that Alzheimer patients with APOE ε4/ε4 had core and cerebrovascular amyloid of different shapes, while in people with APOE ε3/ε3 the two amyloid structures had the same shape. Using pFTAA revealed that tau tangle densities in ε4/ε4 Alzheimer patients that were apparently greater than those with ε3/ε3. In some recent drug trials, the experimental therapy provided benefits in people who had a certain type of the APOE gene (known as ε3) but were less or not effective in another type (ε4). LCOs/LCPs were pioneered by Peter Nilsson of the Department of Chemistry, Linköping University, Sweden. The study also involved collaborating teams from Charité – Universitätsmedizin Berlin, Germany (led by Frank Heppner), Washington University, St Louis (led by David Holtzman), and other labs at Mount Sinai (led by Patrick Hof and Dara Dickstein).